I hope I have never given the impression that I balance it all. I don’t. I think that’s why I am so moved by the first chapter of this book the above quote is from, “For the Love.” Christmas cards are a great example of this. I had written this post in my head but was so thankful to read this chapter before I had a chance to type it. First, I love mail. I love sending real cards with stamps. I love receiving mail. I love cards and letters and stationary. I love getting Christmas cards. I love a picture I can hold and put up on my wall and connections with people and a mailbox full of joy. (skip to “Where I’m At Now” if you’d like). Then in 2013, I just couldn’t get it together. I know that I’ve been taken off other people’s card lists because I have not sent one. I know. I’m okay with that. But something had to give. In 2014, we had another baby. And guess what? I didn’t even send a birth announcement. And now it’s 2015 and I’m here again, but this year, I have come to grips with my life. Some things have to give. I just can’t do it all. And I have to be okay with that. I am choosing to be wise with my time and my energy. This year I am sadly putting aside this time-honored tradition that I love and focusing on the things that God has put front and center. We have a lot going on with ministry, business, and of course, three little wonderful people. This is sad for me, but I know that I will be less stressed, less busy, and more focused this season if I let this one go. I hope you still do a Christmas card this year (but it’s okay if your policy is to only send one to those who send one too). I don’t share this to say anything negative about how you spend your time or energy. I love getting your cards and I am thankful that you can still do this (I hope to again one day). We all have to have different stories and a different balancing act. I only share this to say that this is something that I, sadly, am giving up. I am freeing myself from feeling like I have failed because I can’t do it all. 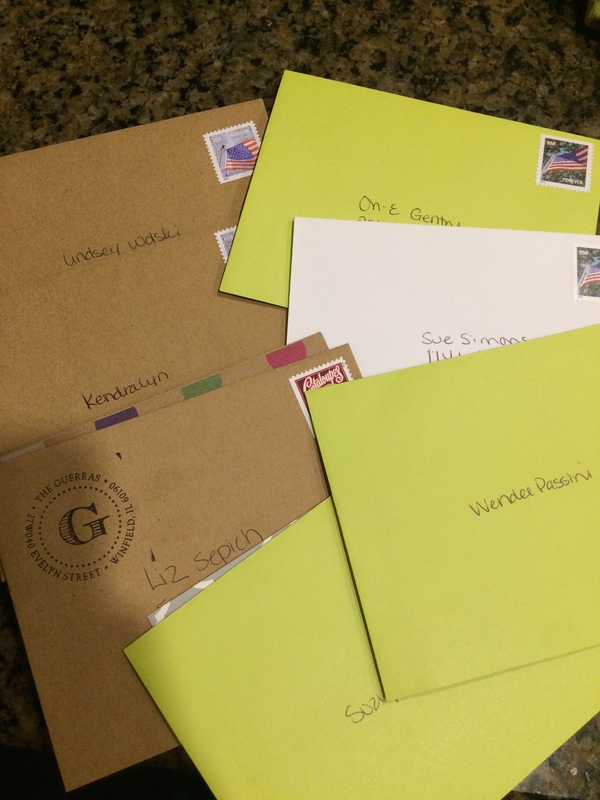 I am sharing that I am not letting myself feel judged because I didn’t send one again this year. I am freeing myself from the “well I will next year” lie and just letting it go. If you want the other lists of things I have had to let go, I’m happy to share. I often sing “If I had a million hours…” to the tune of BNL’s “If I had a million dollars..” But I don’t. God generously gave me 24 hours (and a need for sleep) and seven days in a week. Learning to let things go that I feel I “should” do is a process of trusting Him and His plan for me. I don’t know what you need freedom from this year, but I hope there is some encouragement in this. And this is the pile of personal, specific notes still on my to-do pile—some of which have been sitting there for eight weeks, one is my very best friend’s birthday card (three weeks ago). I have some other things I need to get to first. And I love you all and Merry Christmas and Happy Chanukah and thank you and everything else. Categories: Wife, Mom, Superhero | Permalink. I am an Advocate. I am a Resource. I am a Listener. A Noticer. I am not a salesperson. And I’ve come to love that. We don’t have to “sell” people Basic H, or Vita Lea, or even Stress Relief Complex. We simply need to listen. To be genuinely interested in another person’s story. To be successful in Shaklee be a good listener. Practice the art of Noticing. Then, when the needs arise in someone’s story you can offer to become their advocate and offer resources to help meet their needs. Listening, advocating, noticing…these are relational. Selling is transactional. This is a relationship business. This is an education business. emerges to create change and empowerment in others lives by sharing what is valuable and effective for them. Practicing mompetition OR practicing a servant heart and attitude requires the same output of effort, but the fruit of one is nourishing and the other is depleting. The gift of succeeding in Shaklee is not just reserved for moms either! For example, TEACHERS are remarkable in our business because they are passionate about educating, enabling and empowering. THERAPISTS thrive l with Shaklee because they’re trained to listen, problem solve and offer solutions and they know that true wellness is multifaceted. Body, mind and spirit. STYLISTS are great at this business because they understand how external beauty and health provides confidence internally. Shaklee is not about sales—it’s about having a heart desire to serve. It’s the opportunity to meet a need with trusted products and a business that has been proven for over sixty years! What do I do to serve people? I partner with Shaklee to bring value in ways people are looking for and do so for the sake of people I care for and relate to. If you would like to join our incredible community in this Shaklee adventure, you can visit my website or e-mail me directly. I would love to share this amazing opportunity with you. Categories: #shakleeeffect, Shaklee, Wife, Mom, Superhero, Work at Home Moms | Permalink. Last week I was asked to be part of leading a training meeting about what the Shaklee opportunity looks like for me in the context of MomLife. In preparing for that cool opportunity I realized that what I would share was based in principles and would apply to virtually anyone, in any stage of life. Now, this wasn’t your average training meeting held in a sterile feeling room with a whiteboard of projector screen that requires pastries and coffee to entice those to dare enter. 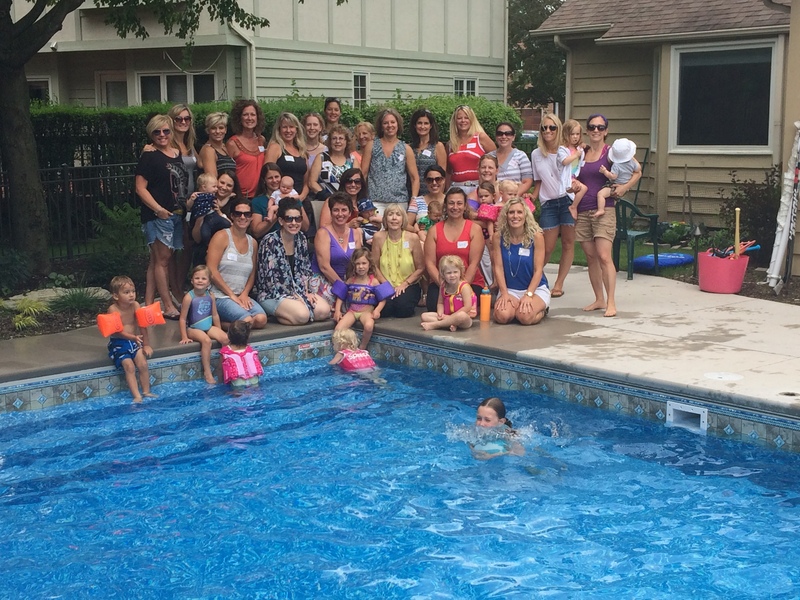 It was thirty adults (many whom brought their children who enjoyed time around the pool) under a tent all at different places in their Shaklee journey from brand-new to super-successful in their business of changing lives. All of them chose to show up because they recognize the power of the Shaklee difference in their lives and were eager to learn how to better use, share and build what Shaklee provides to make lives better. Changing lives in my business has given me the chance to expand the impact of my gifting. This business has given me the chance to discover and grow in my God-given identity in ways that were not possible before. I read an article recently called “Are You Lonely Mama?” And the article made me ever so thankful for the Shaklee family that I have. I speak with people all over the country who share a vision for changing the world. Through Shaklee I have developed relationships that go far beyond health, nutrition, but have become trusted prayer partners and friends. 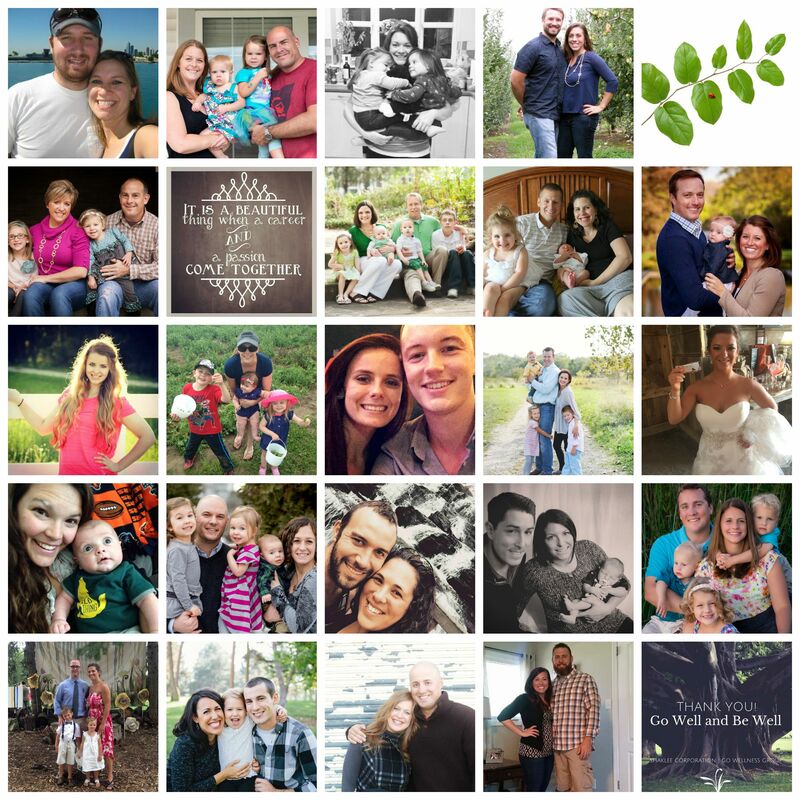 The Shaklee community has become and amazing place to speak about motherhood, but also so much more. It is a place that pulls us back into balance between the bigger picture of life and living with nose to the grindstone, just plowing through the joys and challenges of raising kids managing a home. A place where motherhood is praised and prioritized, but also where we encourage one another to remember and practice the other parts of the identity we have been blessed with! The second article that had a powerful impact shared the importance of having an identity outside the walls of motherhood. It spoke to me in so many ways. It made me thankful and AWARE of my blessings and even helped me identify areas I have grown. This message is not only powerful for this season, (monotony of diapers, endless snack times and tying shoes) but for future seasons, like when the subjects of my motherhood begin pursuing their independence and who I am walks out the door to college. So many things have been made possible. 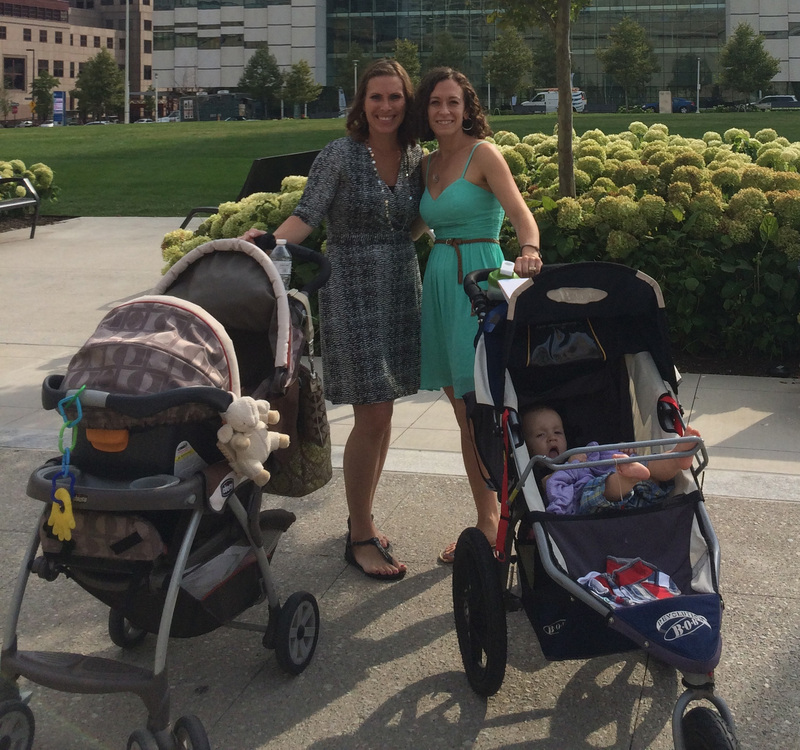 I had no idea I could help families on so many levels, though their health (Like Amber and Elisabeth). I never knew I could be a leader. I never imagined I would have privilege to inspire, challenge and help other moms and business people grow. I never dreamed I’d have opportunities to share accomplishments and my story in crowds of thousands. I never thought I would make goals that I could achieve and even help others do that same. To see growing families on our team able to purchase homes and vehicles for their growing families and able to give and travel in ways they never imagined…just amazing! I love the platform Shaklee has provided to play bigger, inspire and share my values with so many! I never thought I could do this because my dream was (and is) to be a great wife and mom. I didn’t know I could have both. I can do this while being all-there for my family. And even so, being this person (this Proverbs 31 inspired woman), has made me a better wife and a better mom because I am beginning to reach my potential outside of those walls. Please contact me if you would like to learn more and join me in this adventure! Categories: Wife, Mom, Superhero, Work at Home Moms | Permalink. I spend a lot of time helping people find solutions to health concerns, changing their nutrition, and make general healthy changes. Most of the time, that is for their children. Often as moms we neglect our own health for the sake of our children. I even find myself blogging more about children’s health than about health for moms because that is what I am most often asked about. But I want to share with you some things that moms need—not just to be healthy but to be the best moms they can be! And I’ll keep this brief because I know you don’t have a lot of time to read about something for yourself. There are many stages of mommy life, so I am just covering basic mom needs. 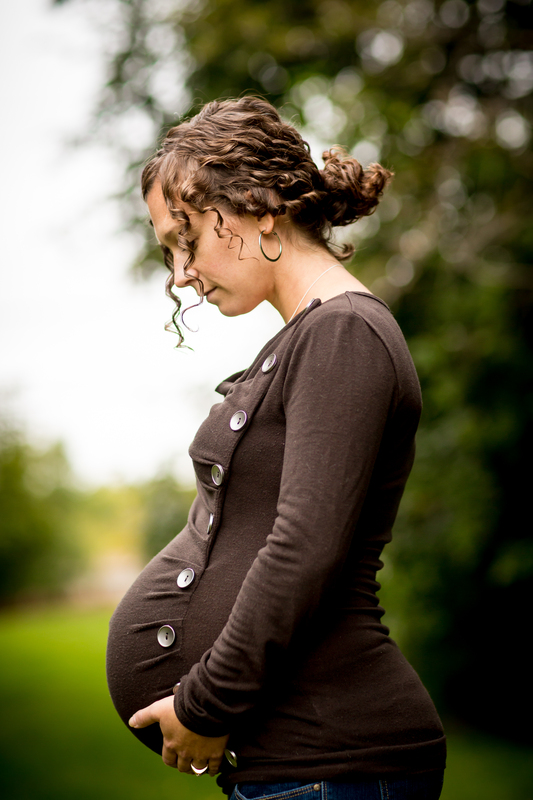 You can check out here what pregnant moms need and soon I will be writing specifically about what nursing moms need. Protein: Most women do not get enough protein. And most of us are giving all the best foods to our children first. Shaklee 180 and Vitalizing Protein are a great solution for the busy mom who still needs to get in a healthy meal. They are not just for losing weight, but getting enough protein (and all the other nutrients in these) will help give you the energy you need for your day! B-Complex: We all deplete our B vitamins all day—with stress, caffeine, alcohol, exercise, etc. Replenishing them helps us with focus, memory, moods, cravings, stress, anxiety and ENERGY. Do you know any moms who would like that? My friend Barb, nutritionist extraordinaire, says “it turns every woman into Mother Theresa.” I take one in the morning and at least one in the afternoon—and sometimes another few before or after bedtime! Vitamin D: I live in the Midwest and here especially, many women are lacking in Vitamin D. Having healthy levels of Vitamin D not only helps with immunity, overall health, emotional stability but also ENERGY. This easy and inexpensive additional to your vitamin regimen could have a very big impact on your energy, especially in the winter and/or when pregnant. Iron: Women need iron and so many supplements on the market do not use iron that is bio-available (absorbs correctly in your body). If you are not getting the iron you need from your vitamin, you won’t have the energy you need to be the best mom you can be! If you are very low on iron, you may want to add Iron+C to your VitaLea with Iron or Vitalizer Women. OmegaGuard: Many studies are saying that Omega’s are the most important supplement to be on. For many women, being low on these important nutrients after having babies can lead to “mommy brain,” postnatal anxiety, postnatal depression and more. Omegas also help with inflammation which is the source of many health issues. Energy Tea: This is by far one of my favorites! It is a delicious way for me to get that refuel of a little caffeine and B-vitamins to push through an afternoon after being up with kiddos or rising early with them. The side-benefits to green matcha are a plus if you’ve been following those! Whether you work full-time or stay home full-time or something in between, many moms are looking to find a passion—for me it has been helping people. My friend, Bonnie was a stay-at-home mom who needed to use her gifts and do something more. My friend Jo, wanted to stay home with her children—that was almost 40 years ago. 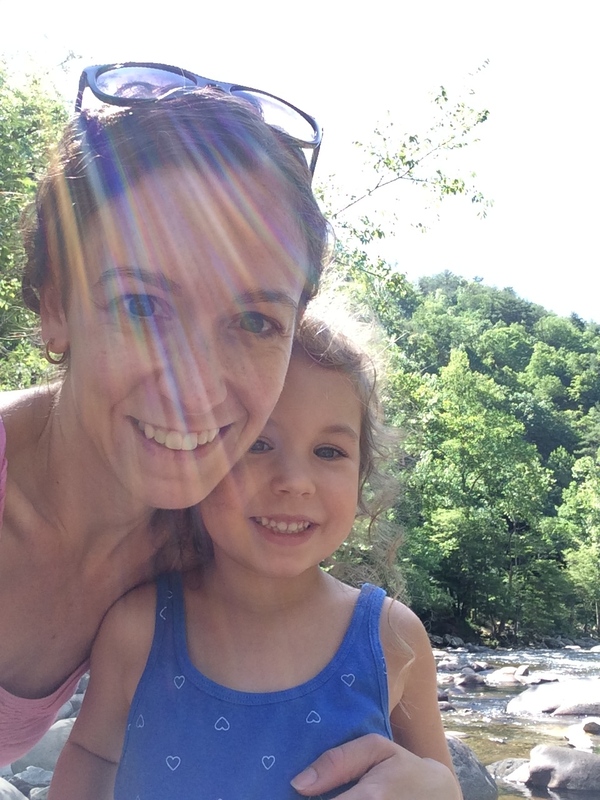 My friend, Katie wanted to follow her passion for teaching but be able to stay home with her daughter. My friend Jeanine needed to be healthier, then went on to share that transformation. The stories go on. Here is my story. You can learn more about how the Shaklee opportunity might fulfill that passion in you, by watching here. Contact me for more information. 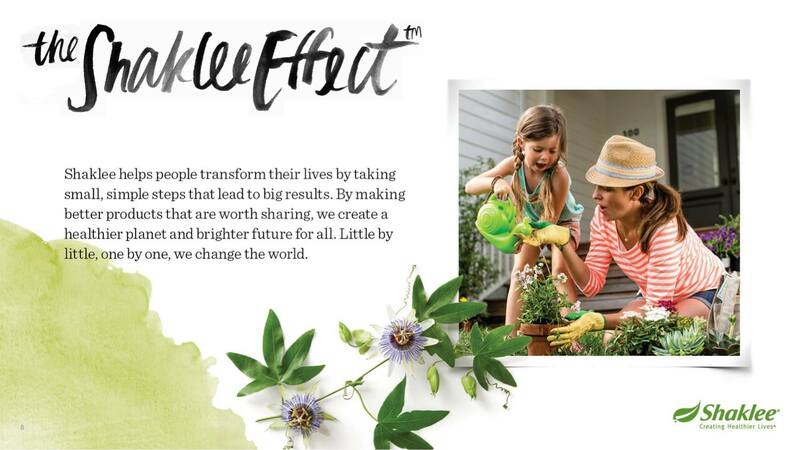 Categories: #shakleeeffect, Natural Solutions, Shaklee, Wife, Mom, Superhero, Work at Home Moms | Permalink. You may see me as a stay-at-home mom because we run into each other at the park, the health club or story-time at the library. You may see me in the pick-up line at preschool or the grocery store on a weekday morning. You may see me on social media in the midst of tea parties and fortress buildings and face painting. Or you may see me as the wife of Ryan, your investment advisor or your worship pastor at Mercy Hill Church. High School sweethearts whose years of knowing each other just recently outpaced the years of not! Or you may see me as a resource for health—someone who helped your son get through the winter without weeks of strep or who helped your child have relief from eczema. You may see me as the person who answered your questions about your migraines or gave you the tools to have relief from allergies. The truth is, I am all of those things and more. And I don’t say that to sound like I have it all together, I have my days just as anyone else. 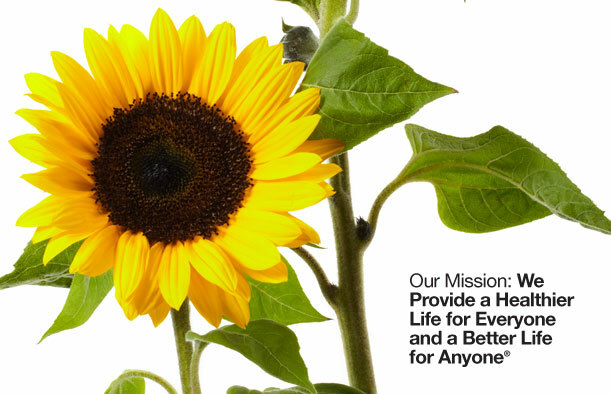 I say that to share how Shaklee has been an immense blessing in order to make our life possible. Having a full-time income, with part-time hours (that I make myself) and being able to help people and pursue a passion has been an incredible gift. This gift would not have been possible without the most important element…people. You. Thank you! Most of our life was not what any of my ten- (or even five-) year-plans predicted. But I feel incredibly blessed and thankful for the sovereign hand of God in all these things. Plans have changed, doors have opened and closed, but having a business at home, pursing my passions has been a provision to fulfill so many possibilities and opportunities. I also share this with you because the opportunity can be yours as well—whether you already love Shaklee or perhaps have no idea with a probiotic even is except for something that is supposedly in yogurt—it doesn’t matter. The door for passion, education and opportunity is available and this is my story of how that can be possible. I wrote this blog post a while back, Make More than a Living: Make Living Better, but I wanted to share more about my journey and my passion. At the very end of 2005, I was looking for a few things. I had started to learn about the toxins in cleaners. I was on the hunt for something that actually worked, that was actually non-toxic, and wouldn’t break the bank. I had also read an article on the issues with beauty products and how toxic they were and wanted to find an alternative. And all the while, I had long been on the hunt for a supplement company I could trust. I knew why I should supplement, but I also knew that because of lack of regulation, many vitamins and supplements were contaminated with lead, etc., or at best they never completely broke down in your body to be fully absorbed based on multiple tests performed on them. Enter Shaklee—at a booth at a health fair, I was introduced to this company. I spent my gym time on the treadmill reading about their clinical studies and science. I was impressed. I met with the woman who shared it with me and she explained the options with Shaklee—Use, Share, or Build. I knew I would use. And I knew I would share. And I thought that maybe, someday, I would build. I started using the products and loved them. Each one I tried I was impressed with. I began to see changes in our health, our energy, our sleep and even allergies began to disappear. Everything I read about the products came through with the fifty plus years of integrity, science and conviction that I had come to know with Shaklee. I could trust their products and they had the research and trials to prove it. And so, I of course began sharing. I did just like I share my favorite travel high chair and travel potty seat. But in unlike other product companies of the products I loved, Shaklee began sending me checks as the people I shared with began to use Shaklee and see life-change happen. 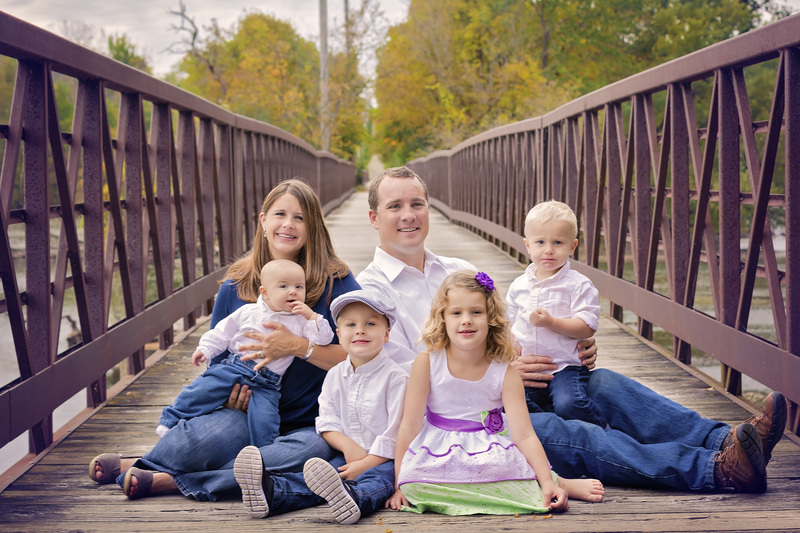 I began to generate an income that was enough to cover the cost of our family’s Shaklee products. I was sharing something that had changed my life because I wanted to help improve the health and life of those I knew and cared for. In 2010, my daughter was born. I knew that I wanted to stay home with her. I also knew that I had a lot of gifts and talents that I wanted to continue to use. While working for a year part-time out of the home, I began to build a business. I was able to help others build businesses and share with many more people simple changes they could make to change their family’s life. As I helped more people, the business grew. As I helped more people build a business and watch their dreams comes true and help the people they knew, my business grew. The excitement with Shaklee became more and more about seeing the opportunity for change I could provide than it was about the extra income. The passion grew even more. I am so very thankful for each person who has opened the door for me to share health with them through Shaklee and even more grateful to see what I’ve been able to share take effect in their lives and homes. And in the midst of all of that, I am so grateful that my business continues to bless MY family as well. 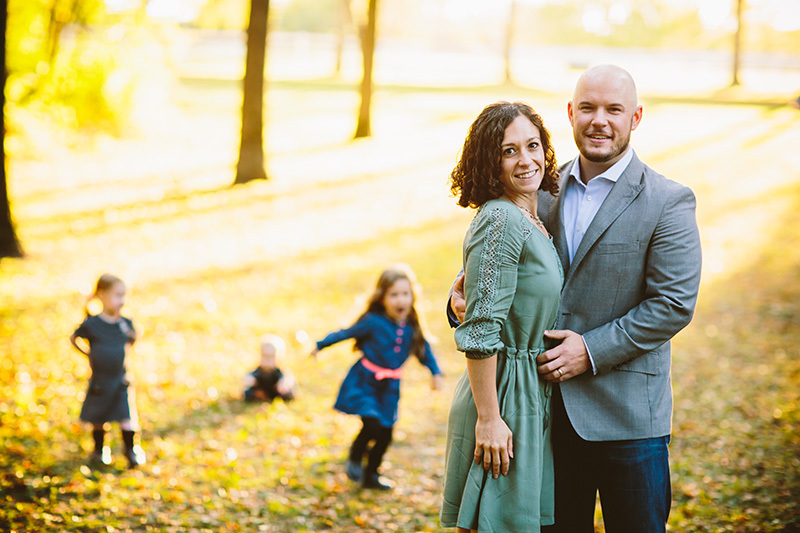 Having a Shaklee business that doesn’t take away from the passion I have for motherhood at all, has given our family flexibility of time and freedom of finances. It has given my husband the ability to spend more time with our children. It has even provided a car payment at just the right time (needed to upsize for a growing family) and this year an all-expenses paid family vacation to Hawaii. And this joy is not just for me. 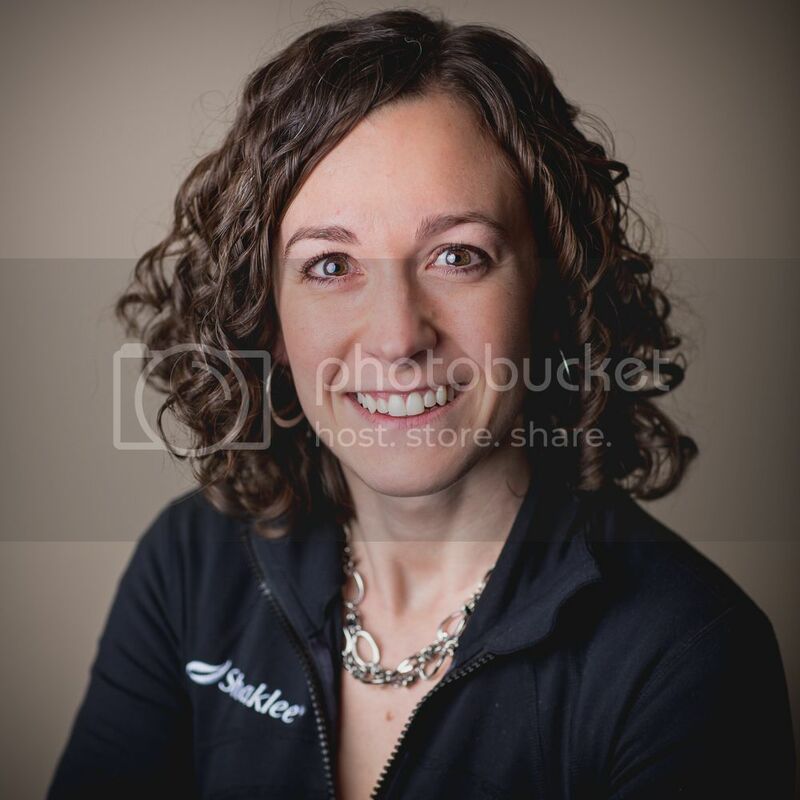 It is as awesome to me to see my friend Katie, who started this business just a few years ago be able to achieve the financial dreams that she set out for through Shaklee. I love being able to give other moms to chance to do this too! And to work together as a team! It is an amazing privilege. And this opportunity is available to you as well. Whether you are a young mom like me, a recent empty nester, someone wanting to leave corporate America, wanting to fulfill your passion of health, or maybe just supplement your income—Shaklee may very well be the path for you. If you’d like to see more, you can watch this great presentation by my friend Lisa.